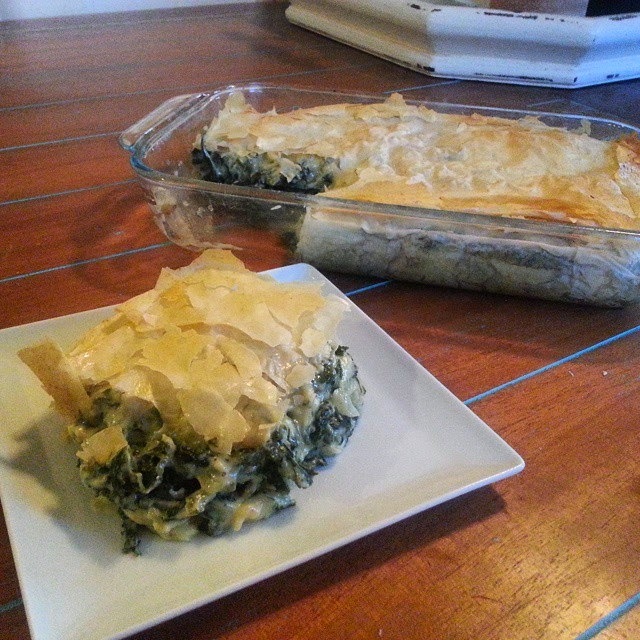 This is essentially a mash up of all the different forms of spinach pie I love. 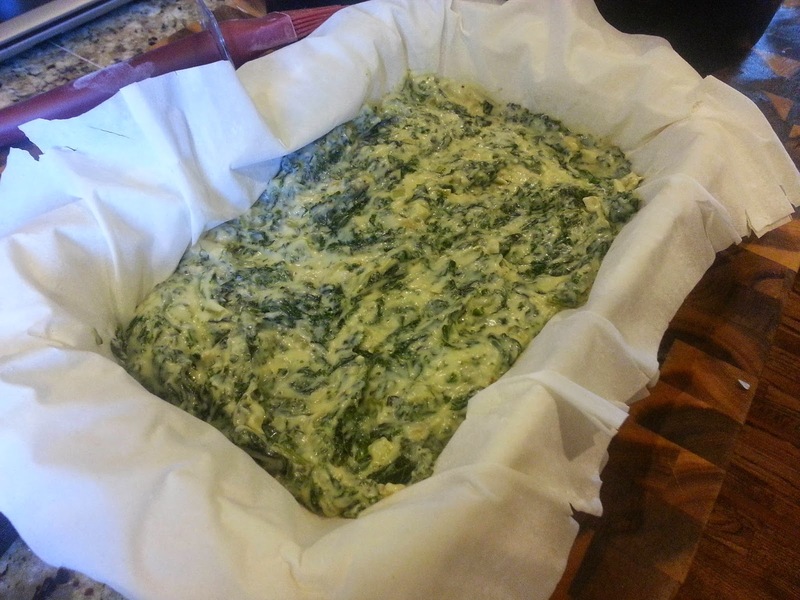 My mom's, my Aunt Stella's spanakopita, and all the fabulous spinach dips I've ever eaten. And I'm sure you'll never guess who's recipe this is....of course it's Michael Symon's. I'm nothing if not consistent. He used a pre made pie crust. I had phyllo dough that I had to use up. Which means that in between each sheet of dough you butter it. Also butter the bottom of the pan. I didn't and it stuck. oopsie. Also, I used kale. Cause it's what I had. Still delicious. Just put a few sheets of dough down, then throw in half the filling. Then fold over a few of the sheets. Then put the rest of the mix in, then fold over the rest of those sheets. Then add a few more sheets on top. Remember, butter between each one.